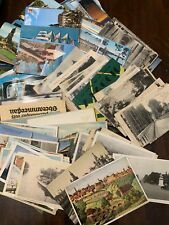 Lot of 50 Antique & Vintage Postcards,1900s-1970s. Used And Unused !! I have for sale thousands of postcards which you can buy in lots of 50. 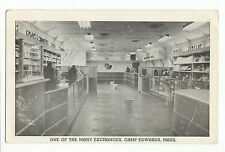 The postcards range in date from the early 1900s-1970s. 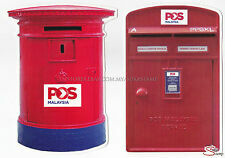 Used and unused, stamps and no stamps. At the moment, I have more unused than used. All US postcards. You’ll get a great mix of postcards from various states. Some are in fantastic condition, and some have seen better days. Varied subject matter, so many beautiful cards!! As the postcards sell, I adjust this posting accordingly so you know what is available! 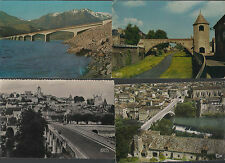 In each lot you will receive of at least 20 postcards 1959 or earlier. Please message me with questions. I will combine shipping on multiple purchases, just ask! Quantity:Box of 32. And due to the difference between different monitors, the picture may not reflect the actual color of the item. Material: Paper. If you have any problems, we are very glad to help you. Can be sent to friends,families and other person you want. And due to the difference between different monitors, the picture may not reflect the actual color of the item. Quantity:Box of 30. And due to the difference between different monitors, the picture may not reflect the actual color of the item. Quantity:Box of 32. Can be sent to friends,families and other person you want. Material: Paper. Quantity:Box of 32. And due to the difference between different monitors, the picture may not reflect the actual color of the item. Card Thickness: approx. Wanna See more writing paper set?. We will try to reply within 24hours. 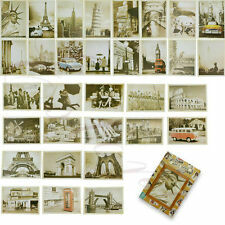 Pack of 24 postcards. 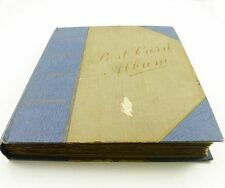 Size 4"x6" (10x15cm) [also known as Large Postcard]. Printed on thin cardboard with glossy finish. Address template on back side. Cards are modern REPRINT of vintage illustration, this is NOT real vintage postcards. 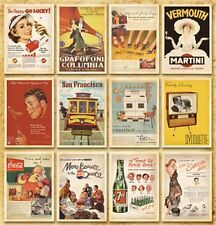 This pack of illustrations also available as wall calendar and mini-posters, please look at my store You welcome to look for other items in my store, I have many calendars, postcards and stickers with reprints of vintage illustrations from golden era of pinup, pulp-fiction and pop-culture. I will combine items so shipping cost just only $2.99 for whole order. Mount Fuji and cherry blossom. Size : 115mm x 156mm. Diaghilev - Creator of the Ballets Russes. No.57050 - Sasha - Jooss Leeder Ballet performing "Inferno" 30th March 1935. No.MU2098 - Sultana - Drawing for a Snuff Box 1899 by Konstantin Somov (1868-1939). 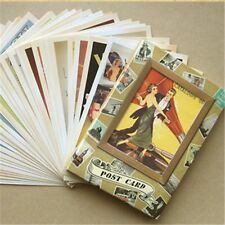 Pack of 24 postcards. Size 5"x6.5" (12x15cm) [also known as Large Postcard]. Printed on thin cardboard with glossy finish. Address template on back side. Cards are modern REPRINT of vintage illustration, this is NOT real vintage postcards. This pack of illustrations also available as wall calendar and mini-posters, please look at my store You welcome to look for other items in my store, I have many calendars, postcards and stickers with reprints of vintage illustrations from golden era of pinup, pulp-fiction and pop-culture. 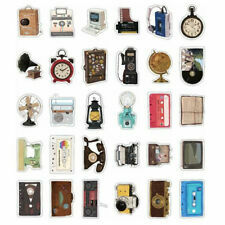 I will combine items so shipping cost just only $2.99 for whole order. Has the date August 6, 1907, written on back. Condition as per scans. Manufactured by O. Zieher, Munich, Bavaria. Condition as per scans. Photo 9x13 cm. Original WW1 item. b 4 ( 213. item as described b p ( 274. Received item. b d ( 1262. ) 2019-04-17. Corks appear to be very good quality. ). Shipping/Post: Item will be carefully packaged and shipped same day. Combined Post is available. Quantity:Box of 32. Material: Paper. Card Thickness: approx. 0 profiles Qualité Très bon. Nombre de pièces 1. GAYATRI . Famille Shiva . 10cm x 15cm. Soyez sûr de m'ajouter à votre la liste des favoris ! Fabriqué en Inde. Mais ce ne sont pas automatique. Le 02-nov. -18 à 13:40:14 Paris, le vendeur a ajouté les informations suivantes Regional Feature:China. Good condition. Wife of W5NW ( ARRL VP). Nombre de pièces 1. Qualité Superbe. Caractéristiques Noir et blanc. A presto ! Vintage postcard from circa 1905,please see photos for further info,supplied in plastic sleeve and sent in protective hardbacked envelope.